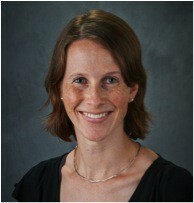 Associate Professor Christy Remucal (née Christina Renée Keenan) leads the Aquatic Chemistry group at the University of Wisconsin, Madison. She is a faculty member in the Department of Civil & Environmental Engineering, the Environmental Chemistry & Technology Program, and the Limnology & Marine Science Program. She holds an MS (2004) and a PhD (2009) in Civil & Environmental Engineering from the University of California, Berkeley, and a BS (2003) in Environmental Engineering Science from Massachusetts Institute of Technology. Before joining the UW faculty, Christy completed a post-doc in the Institute for Biogeochemistry and Pollutant Dynamics at the Swiss Federal Institute of Technology. 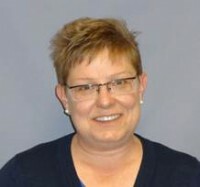 Tracy Melin was a UW-Madison SWE member from 1989-91 when she was a grad student in the Materials Science program. She has been active in SWE ever since with adviser or officer positions in Vermont, Texas (Dallas SWE President 1995-96), and Idaho. She was a manufacturing engineer for almost 20 years with IBM, Texas Instruments, Micron Technology, and Thermo Fisher Scientific. She’s currently a Senior Quality Engineer in Product Compliance for Fiskars in Middleton, Wisconsin. One of the highlights of her career was working in Avezzano, Italy for two years at Texas Instruments’ DRAM and Flash memory chip plant. She lives in Madison with her husband Steve Klick (M.S. UW-Madison, 2006), who is a mechanical engineer for ACS, Inc. in Middleton.